When Amy began chemotherapy shortly after her recovery from surgery, her body was unable to cope with cold. This meant that being outside for any extended amount of time was almost impossible. Her miles continued to lag, but she was still determined. When the weather finally warmed up, she found she could be outside comfortably on a few of the warmer days, and began to walk or run when she could. 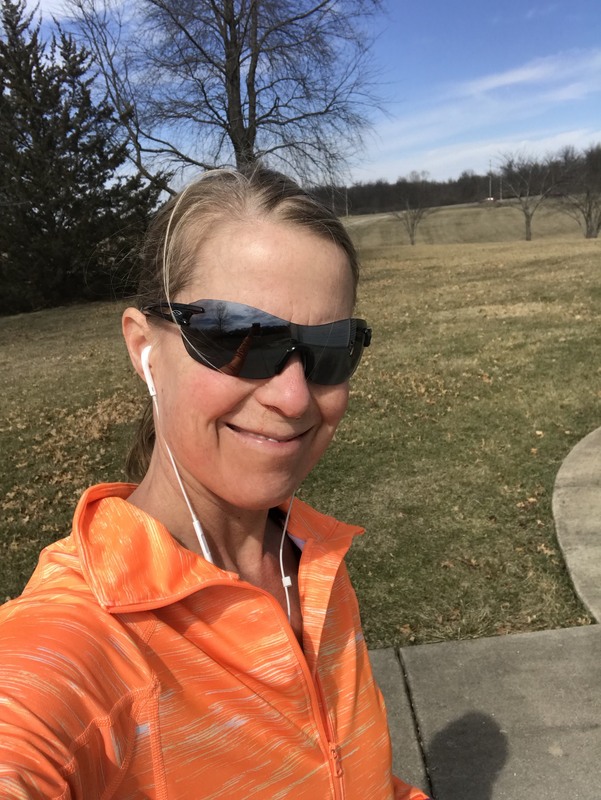 Though Amy was only running outside about two miles at a time, she started training inside on an exercise bike and finally began to see her miles add up again. Before she knew it, 3,521 miles was possible again. Amerithon motivated Amy to stay fit throughout her battle with cancer, and she persevered at moments when it would have been so easy to fold. She says that tracking her miles, passing the milestones, and seeing her badges gave her the inspiration she needed to finish this year on March 14th. 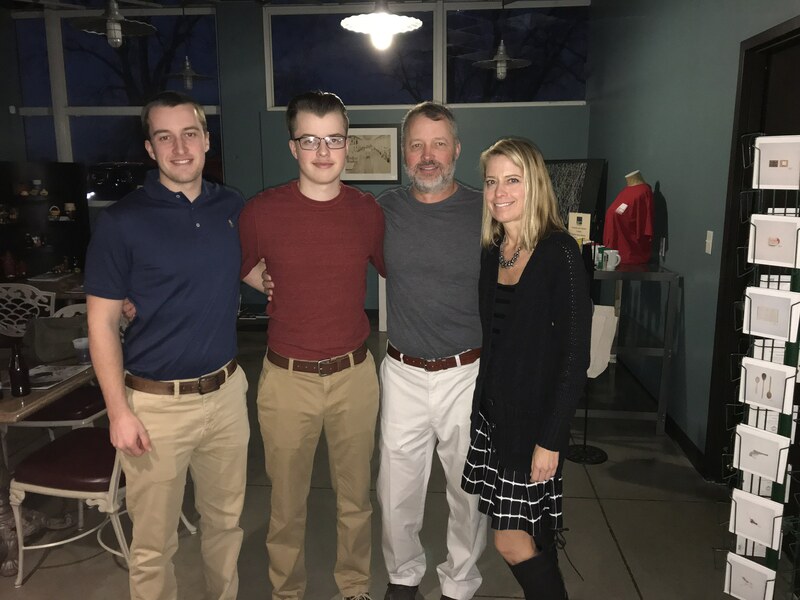 Her husband and two sons were by her side through all of it and shared her enthusiasm along with a strong network of countless other family members and friends. They supported her through calls, texts, help around the house, visits, thoughtful cards and many other ways. There were times when she thought she would never finish, but having the support of her family and friends, as well as her own drive to complete the challenge, prevented Amy from giving up. 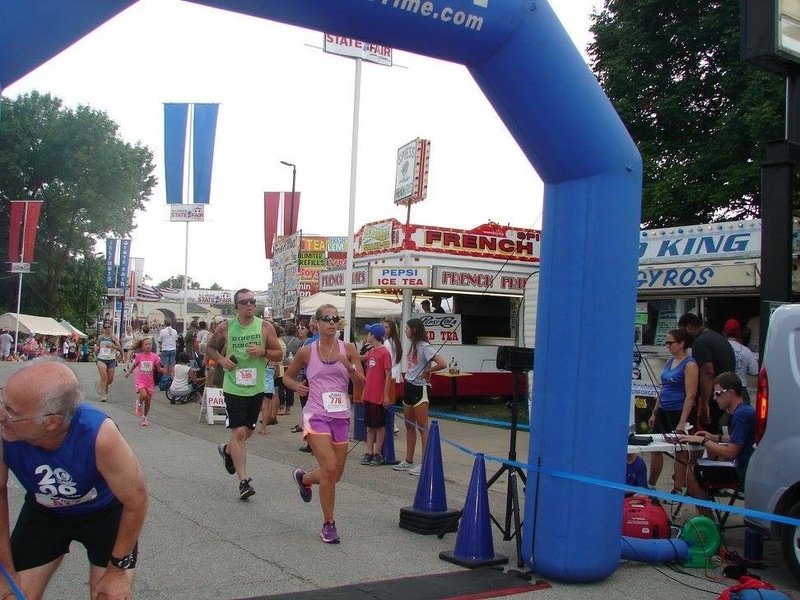 Amy began running at the age of 36 and has prioritized fitness throughout her life. 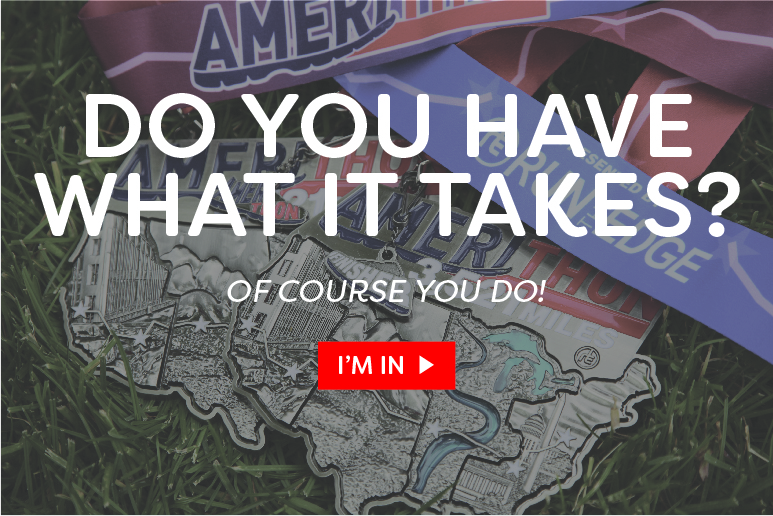 In 2016 she downloaded our book “Running the Edge” and discovered the facebook group, which led her to the Amerithon Challenge. She says it feels amazing to finish it in the face of such massive adversity, and she can’t believe she’s finally done it. The exercise during her treatment made her feel so much better and gave her something to work toward. 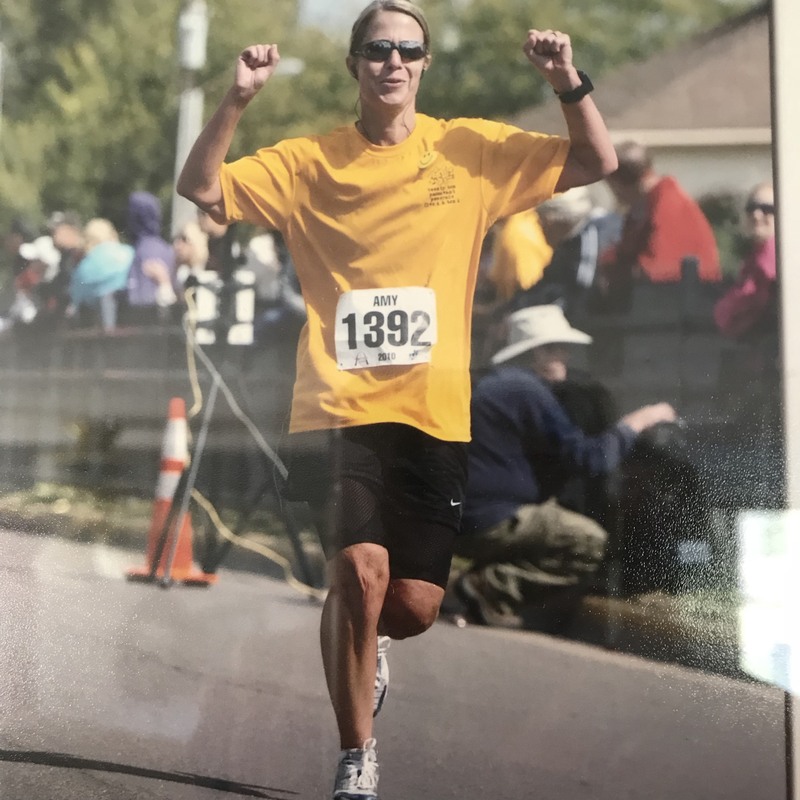 Moving her body, being outside, and connecting with nature gave her peace during her treatment, and she continues to stay fit as she fights cancer. Her chemotherapy is complete and she is hopeful that surgery will ameliorate her condition as well. “I’ve been strong before, I can still be strong,” she says, and she refuses to let anything stand between her and her physical health or mental wellbeing. Amy has been an incredible source of inspiration and encouragement in the Amerithon community and we could not be more proud to share her story. CONGRATULATIONS AMY!